Sister Kaye Belcher was born in Battle Creek, Michigan, the second child of Jim and Monique (O’Carroll) Belcher. Her Catholic family – Irish/Welsh and Native American – lived in many places due to her father’s military career. Her earliest memories are of Wurzburg, Germany, a post-World War II city devastated by airplane bombings, but the beauty of the country and its people remain with her. When Kaye was in first grade, the growing family moved to Alaska, which was still a territory of the United States at the time. Living in Anchorage for ten years imbued in her a love for nature and people. She first met the Sisters of Providence while attending Catholic Junior High School in Anchorage for two years. (For some reason, her parents thought it would be a good idea to send their eldest daughter to a Catholic school!) The sisters left an impact of service, prayerfulness, kindness and happiness that stayed with her. In 1963, the family of now nine children settled in Edmonds, Washington. Kaye continued to correspond with the Sisters of Providence she had met in Anchorage. She entered the Sisters of Providence at Providence Heights, Issaquah, Washington, in 1967. It was a time of many changes in religious life. She experienced the “old,” and a lot of the “new,” but at the base of all the changes was the continued prayerfulness, compassion and love of people. After ministering as a nurse’s aide in Medford and Portland, Oregon, she graduated from Seattle University with a nursing degree in 1973. At St. Elizabeth Medical Center in Yakima, Washington, she began her nursing ministry as a staff nurse and eventually as a nursing manager and an assistant director of nursing. 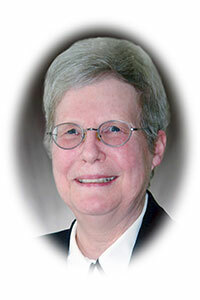 In 1989 she returned to Alaska as director for mission leadership for Providence Health and Services/Alaska Region, an opportunity to minister with others to incorporate and live out the mission and values of the Sisters of Providence. In 2005 she was elected to the Provincial Council/Leadership Team for five years, experiencing being with the sisters of Mother Joseph Province in a meaningful way. In 2010 she was asked to be the assistant administrator at St. Joseph Residence in Seattle. Currently, Sister Kaye is assisting with the sisters’ electronic database, volunteering at the West Seattle Senior Center and assisting in different ways across the province. Her many ministries, through working with so many people, have enlivened and help keep the Sisters of Providence charism alive: charity, simplicity and humility. She is privileged to accompany many people in their lives, their challenges and their own seeking of truth. Nature is an integral part of her life. It has many sides, she explained. It keeps changing from season to season, from minute to minute. Whether at the ocean, or a lake, or in a forest, or in a desert, God draws near in this beauty. God speaks to our souls in a language much stronger than words can ever convey, Sister Kaye said. John Squadra wrote: If you listen, not only to speakers and preachers, but to the smallest flower growing from a crack in your heart, you will hear a great song moving across a wide ocean whose water is music connecting all the islands of the universe together and touching all. You will feel it touching you, around you, embracing you with Light. It is in that Light that everything lives and will always be alive.